We have a diverse selection of gardening tools and landscaping supplies to help with your projects, and we encourage you to see what we have to offer. Some landscaping products that we have include boulders, flagstones, mulches, and erosion blocks. You will be able to choose from an assortment of lawn care supplies at our outdoor three-acre inventory, and our experts there will help you get the projects that you need for your job. 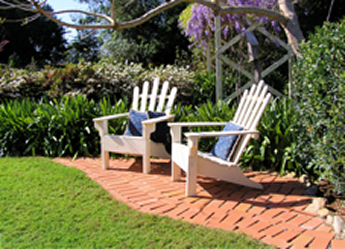 Know that our landscaping specialists will offer you quality service for your landscaping needs. Contact our landscape company in Fort Myers, Florida, to learn more about the products we have for you. Earth Elements is a landscape supply company in Fort Myers, Florida that provides a variety of landscape supplies for your projects. We stand apart from other landscaping companies due to the superior service that we provide for your landscaping needs. What we enjoy the most about our job is building businesses and maintaining positive relationships with our customers. In fact, the clients that we speak with regularly are not only our customers, but our friends as well. We look forward to providing you with not only quality business, but also a worthwhile relationship.